Flower arrangement or comes in a flower bouquet. 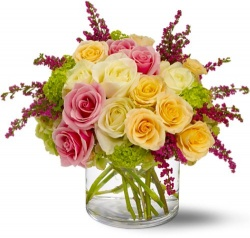 Florists online with flower delivery from Royal Florist LA. Our delivery of flowers in a vase gives you the freshest flowers in Los Angeles. The Language of Flowers at our flower shop will help you with the meaning of flowers.